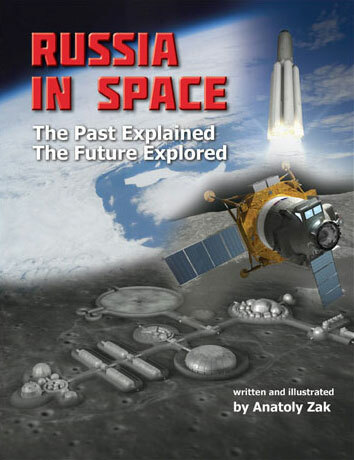 In the spring of 2013, the Russian space agency, Roskosmos, released another version of a public document outlining the nation's latest strategy in space. The 17-page paper, dated April 29, 2013, did not contain any surprises among proclaimed goals in space or means to achieve them, but clarified the agency's timeline in the development of launch vehicles. 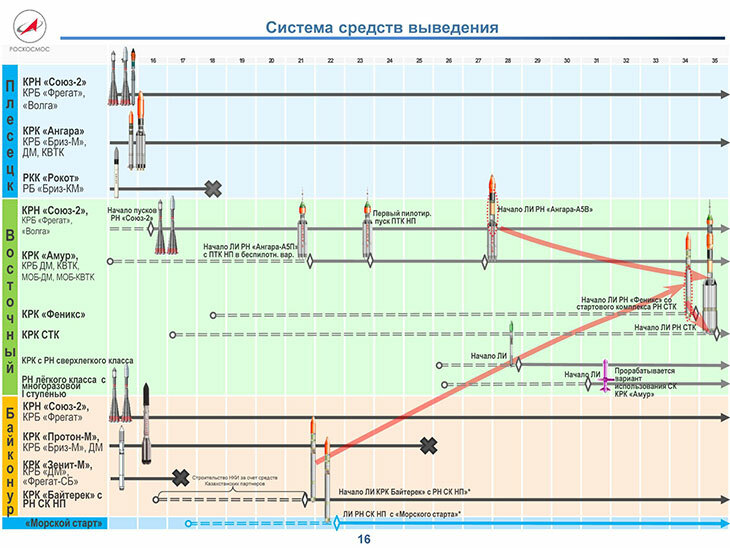 A timeline of launch vehicle development in Russia as of 2013. At the beginning of 2015, the development of super-heavy rockets was deferred until 2030s. To introduce a launch pad for the Soyuz-2 rocket in Vostochny. 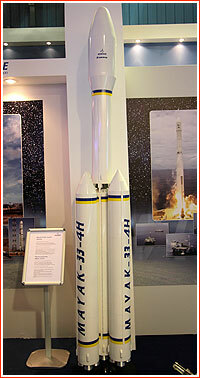 To introduce a cryogenic upper stage based in Plesetsk. To conduct the development of a reusable, electrically propelled space tug for the re-supply of a lunar base. To build a technological foundation for the development of a transport system enabling the manned expedition to Mars, including a super-heavy launch vehicle with a payload of 130-180 tons, and the electrically propelled space tug. As the Angara rocket family was reaching the launch pad in mid-2010s, Roskosmos had to decide on the capabilities and the architecture of the next-generation space launcher. The payload of the largest approved version of the Angara rocket approaching 25 tons to the low Earth orbit was far not enough for any deep-space missions that were considered at the time as the next step in manned space flight. No matter what the final architecture the super-heavy rocket would ultimately assume, its development would likely present a number of the same challenges for the Russian engineers. First of all, the use of liquid hydrogen would require new infrastructure handling cryogenic propellant at the future launch site in Vostochny, in addition to already funded facilities for liquid oxygen and kerosene. Hydrogen infrastructure could probably grow from initial facilities built to support upper stages of future rockets equipped with the RD-0146 engine. 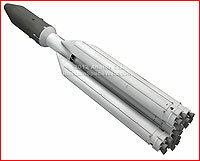 However a much more powerful hydrogen engine, like Energia's RD-0120 from the Soviet era, would have to be revived to propel larger booster stages of prospective launchers.Last but not least, a special assembly factory would have to be built right at the launch site in the remote Far East of Russia, because ground transportation of such large components with a diameter of eight or even 12 meters from the European part of the country would be impossible, while air deliveries could prove unaffordable. In March 2014, a representative of the NPO Technomash Aleksei Baraev was quoted by the ITAR-TASS news agency as saying that the core stage of the future super-heavy launch vehicle would have a diameter of about 10 meters, making its transportation to Vostochny impossible. As a result, the rocket would need a production facility at the new launch site. According to Baraev, the development of an entirely new aircraft for the purpose was explored, however such an option was recognized as considerably more expensive. At the beginning of December 2013, a commission from Roskosmos including officials from TsNIIMash and other organizations of the rocket industry surveyed potential launch sites in Vostochny for manned missions and for super-heavy launch vehicles, the official ITAR-TASS news agency reported. In December 2014, Vice Prime Minister Dmitry Rogozin told the Argumenty i Fakty weekly that the Vostochny would take over federal launches, while Baikonur would be reserved for commercial missions. Although such an arrangement was probably designed to settle concerns of Kazakhstan about the future of Baikonur, the scheme would probably last only as long as Angara-5 was undergoing flight testing during 2010s. However, as soon as the new-generation rocket would be declared operational and deployed in Vostochny, there would be little sense for Russia to continue the production of the veteran Proton based in Kazakhstan. During the 2010s, Russia remained one of the few space powers that still officially pursued the development of a partially reusable launcher. Moreover, the official strategy of Roskosmos called for the eventual replacement of the nation's most powerful throwaway rockets with fly-back boosters. Unfortunately, the Russian attempts to forge a cooperative effort with the European industry in the field of reusable rockets under Barguzin and Ural projects apparently fizzled out after only very preliminary work. 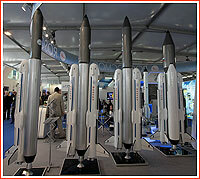 Still, many Russian forward-looking documents called for the eventual development of the Reusable Launch Vehicle, MRKN. Although most designs of heavy and super-heavy rockets in Russia relied on tried and tested RD-170, RD-180 and RD-0124 engines, even more powerful propulsion systems appeared on the horizon in the country during 2010s. 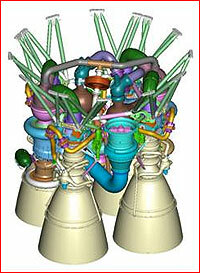 In April 2012, the Interfax AVN news agency reported that RKK Energia and Keldysh Center proposed the Scientific and Technical Council at Roskosmos to consider the use of the RD-175 engine, then under development at NPO Energomash in Moscow, within the project of a super-heavy rocket. Few details on RD-175 were available, besides its whooping 1,000 tons of thrust. A designation indicated that it might be derived from RD-170/171 and, thus, would use liquid oxygen and kerosene. At the time, NPO Energomash completed the preliminary design of the engine and was assembling an experimental unit to test its key design features. (640) In 2013, NPO Energomash reiterated that the work on RD-175 was ongoing. With the onset of the new economic recession in Russia in 2014 and the replacement of Roskosmos leadership in January 2015, the agency held a meeting of its Scientific and Technical Council, NTS, on March 12, 2015, dedicated to the launch vehicle policy. As expected, the NTS essentially shelved the development of the super-heavy launcher to cut costs.The NTS also postponed until further consideration the request for funding within the FKP-2025 federal space program for the development of a methane-burning engine to propel an ultra-light reusable launcher. Instead, Roskosmos recommended to develop a preliminary proposal for the upgrades of the Angara-5 rocket with hydrogen-powered stages to form the Angara-A5V variant with a payload of 35 or 37 tons to the low Earth orbit, which could carry manned vehicles into the vicinity of the Moon and onto its surface. The decisions by the NTS have advisory rather than binding nature, however they are considered crucial for the formation of the Russian space strategy. Indeed, by April, the decision was endorsed by the Kremlin. Under an unlikely scenario, where US-Russian relations would normalize during coming years, Roskosmos could rely on NASA's super-heavy Space Launch Systems, SLS, to launch its new-generation PTK NP spacecraft beyond the Earth's orbit. Such an option was apparently discussed between two agencies around 2014. For NASA, it would mean extra missions for the underused booster. By the end of 2016, the Russian space program experienced an unprecedented grounding of its rocket fleet. First, the workhorse Proton experienced an engine problem during otherwise successful mission in June, which required to postpone all its missions well into 2017. On December 1, a Soyuz-U rocket failed to deliver the Progress MS-04 cargo ship, also due to an apparent engine problem. Soon, serious quality control problems were reported at Voronezh Mechanical Plant, which builds engines for both Proton and Soyuz. To make matters worse, other rockets in the Russian fleet—Zenit, Dnepr and Rockot—were essentially lost due to the conflict with Ukraine. Last but not least, the second new-generation Angara-5 rocket, which was assembled at the brand-new manufacturing base in Siberia, reportedly ended up being unfit for flight due to defects. 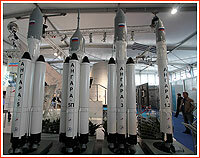 The grounding of the Russian rocket fleet came at a time of increasing competition on the commercial launch market. On Jan. 20, 2017, Head of Roskosmos Igor Komarov chaired a meeting of top managers at the Voronezh Mechanical Plant, VMZ. The high-profile meeting followed a decision to return already manufactured RD-0110 engines from Soyuz rockets back to Voronezh, after the engine had been suspected to be a culprit in the loss of Progress MS-04. According to Roskosmos, Ivan Koptev, Director General at VMZ, resigned due to poor quality control at the company and the January 20 meeting resulted in several decisions aimed to improve the production quality at VMZ. According to the Kommersant daily, at the same meeting, Roskosmos also made a decision to recall dozens of Proton engines built at VMZ during past several years. It also initiated the quality control audit at VMZ conducted by a team of experts from another leading Russian rocket propulsion company: NPO Energomash in Moscow. On Feb. 8, 2017, Deputy Prime Minister Dmitry Rogozin chaired a meeting of the Military Industrial Commission, VPK, to deal with the nation's rocket fleet. Few details of the meeting were immediately released beside a statement that it had reviewed a plan for the development of prospective launchers and "strengthening" of the quality control at leading industrial enterprises. In the first quarter of 2017, Roskosmos released a new timeline of the launch vehicle development in the nation. The Angara-5V rocket was now promised to fly in 2027, followed by a super-heavy rocket in 2035. The adjusted strategy also included a super-light-weight launcher to be introduced in 2028 and a roadmap toward a reusable vehicle, which could begin flying from the Angara's launch facility in Vostochny as early as 2031. However, within weeks, the strategy was changed again, apparently after the interjection from the Kremlin. On May 22, 2017, President Putin endorsed a controversial proposal to base the next-generation manned spacecraft, PTK Federatsiya, in Baikonur rather than in Vostochny. The decision allowed switching the next-generation spacecraft from Angara-5P to Soyuz-5, further boosting the political significance of Soyuz-5. Most importantly, the Soyuz-5 was now becoming a stepping stone toward the rejuvinated super-heavy project. Also on Sept. 19, 2017, the Russian government signed Decree No. 1124 approving a federal program for the development of cosmondromes during a period from 2017 to 2025. In 2018, Russian space officials continued along a winding (or incoherent one might say) path toward a new generation of launch vehicles, while the nation's dramatically diminished position in the international market faced new challenges.